As we love exotic species, we are bound to live by a few rules. Which rules, however, remain to be questioned. Hereby we’d like to clarify a few grey zones regarding CITES, the Convention of International Trade in Endangered Species of wild fauna and flora. CITES works by subjecting international trade in specimens of selected species to certain controls. All import, export, re-export and introduction from the sea of species covered by the Convention has to be authorized through a licensing system. Each Party to the Convention must designate one or more Management Authorities in charge of administering that licensing system and one or more Scientific Authorities to advise them on the effects of trade on the status of the species. The species covered by CITES are listed in Appendices, according to the degree of protection they need. Is my species protected by CITES and if so, on what level? In order to be able to answer this question, go to Species+ and write the correct scientific name of the species in the textbox. A scientific name always starts with the ‘genus’, followed by the ‘species’, for example: If your spider belongs to the genus Brachypelma and the species’ name is boehmei, than the full scientific name of this spider is Brachypelma boehmei. If your search on the page returned no results, the species is not listed by CITES.  Click here if you’d like to see all listed theraphosids. The appendix in which the species is listed declares the protection of a species on international level. Species which are protected on the highest level are listed in Appendix I. In the European Union the list is divided in 4 annexes. Appendix I, annex A: Includes species threatened with extinction. 1. An import permit issued by the Management Authority of the State of import is required. 2. An export permit or re-export certificate issued by the Management Authority of the State of export or re-export is also required. Appendix II, annex B: Includes species not necessarily threatened with extinction, but in which trade must be controlled in order to avoid utilization incompatible with their survival. 1. An export permit or re-export certificate issued by the Management Authority of the State of export or re-export is required. * Certificate required if you can’t prove its legal origin. Appendix III, annex C: Includes species that are protected in at least one country, which has asked other CITES Parties for assistance in controlling the trade. 1. In the case of trade from a State that included the species in Appendix III, an export permit issued by the Management Authority of that State is required. 2. In the case of export from any other State, a certificate of origin issued by its Management Authority is required. 3. In the case of re-export, a re-export certificate issued by the State of re-export is required. Annex D: Includes species that are not protected by CITES, but for which trade must be registered. Certificates required? In which circumstances? In some cases you might need an EU-certificate regarding species protected by CITES. 1. When buying or selling 1 or more species. 2. When donating, exchanging or renting 1 or more species. 3. When transporting 1 or more species listed in Appendix I, annex A with source code W (wild), F1 (first generation breeding in captivity) or U (unknown). * Please keep in mind any transaction of species protected by CITES will be considered a commercial activity, whether or not money was involved. * If you’d like to ask for CITES-certificates for your theraphosids listed in Appendix II, annex B you’ll probably need a copy of EU-certificates and/or import licenses of the species’ parents, a copy of your administration, proof of purchase or transfer declarations and proof you got the species on a legal basis. Some theraphosids are listed in Appendix II, annex B. Now what? 1. Export permit from Brazil required. 2. 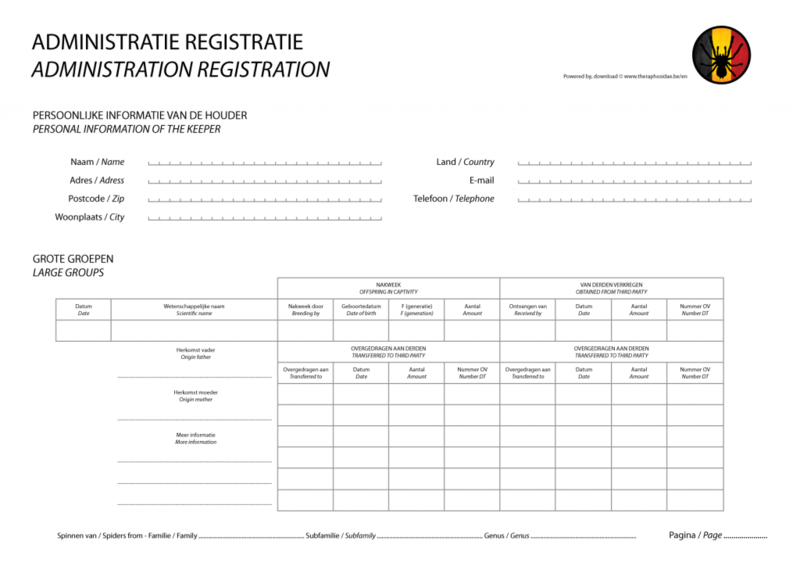 If required by national law, import permit from Belgium is mandatory. 3. Transfer declaration if necessary. 1. Captive bred: Transfer Declaration required. 2. Wild caught: Transfer Declaration + copies of both export – and import permits required. 1. Export- and import licenses required, if required by national law. Getting your hands on them is probably more easy than importing wild caught spp. 3. If this is about a first generation posterity from wild caught species, EU-certificates from the parents are mandatory as well. 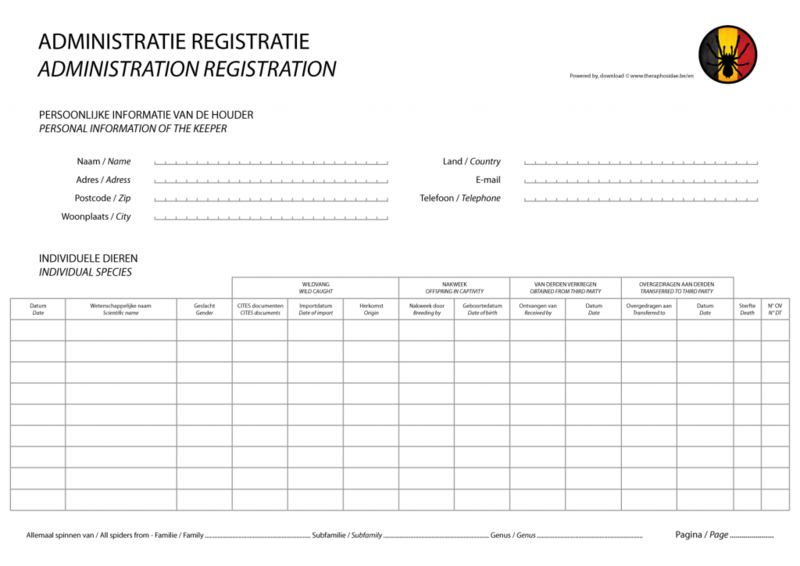 Must contain contact data and signatures of seller and buyer, date/location of the transfer, amount/scientific name of the species and specific information about the species’ origin. As we all know how the hobby works, it will be very difficult for most of us to provide all the information asked above. New spiders often join the family as fast as the wind turns. This habbit, however, makes us vulnerable as for few species you’ll need a transfer declaration to prove its origin, sometimes import and export permits, and a good administration to show you are from good will. Ask for all information possible when buying your spider, including accomodation, equipment, keeping, breeding and more details (incl. documents) about the species in particular. The more information you get, the better. Write this all down with indelible ink in a clear administration (digital logs are not accepted). We kindly recommend you to keep administration of all of your spiders, as we never know which spp. will be added to any Appendix or annex within a few decades, years, months or even weeks. • If you keep snakes and you’re located in Belgium (or Europe), read this (NL): “May I keep snakes in Belgium/Europe?“. With special thanks to Sam Luyten for sharing crucial information.